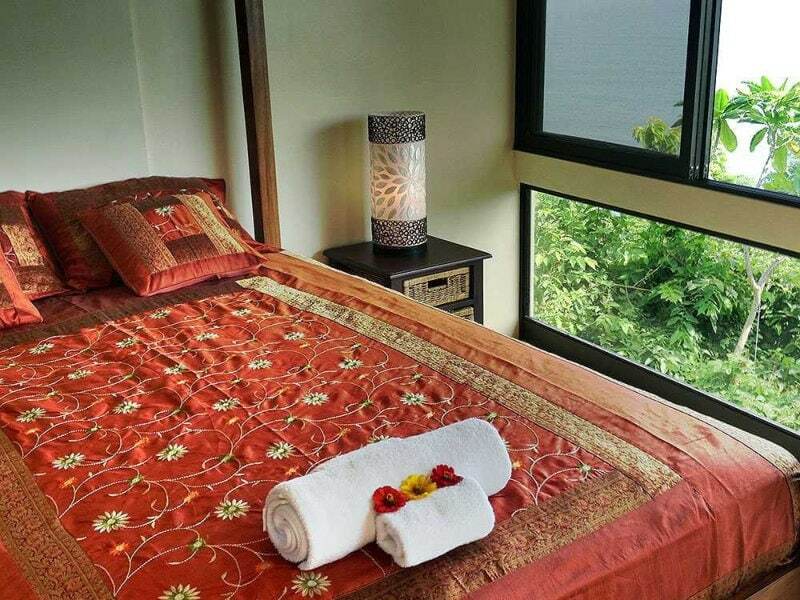 Description: The Ganesh is one of our smallest cabins, but has a great ocean view, and a private rooftop deck, making it a very popular cabin. 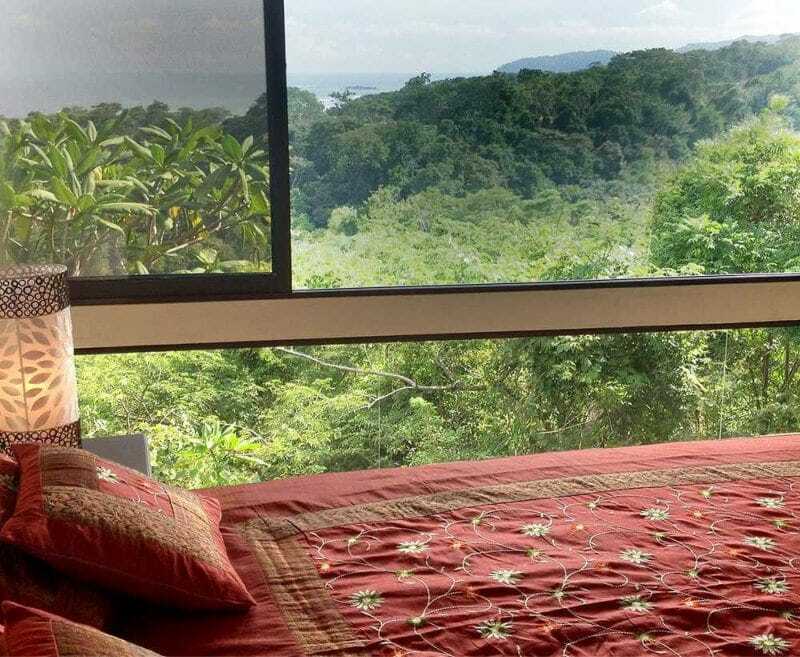 It’s ideal for solo travelers or a couple. The bathroom is very special as well, as its fully open to the view and elements on one side. 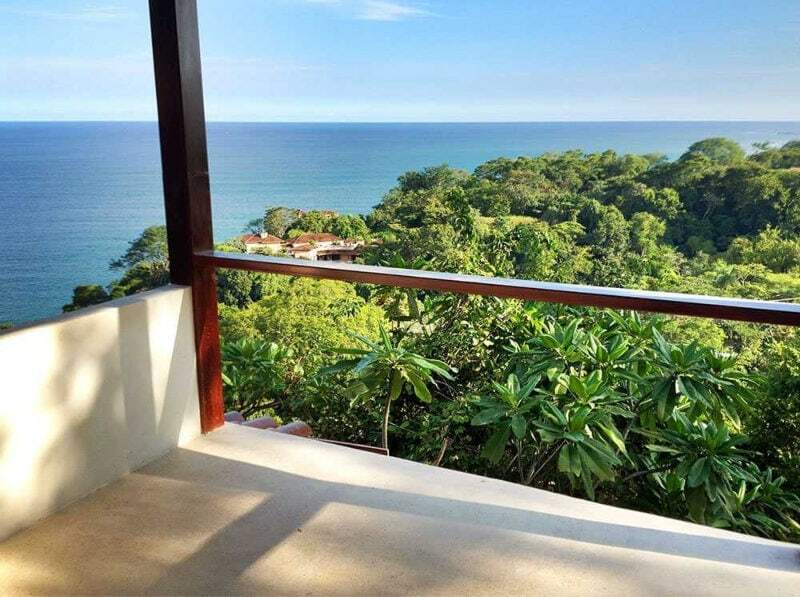 The Ganesh cabina has one of our most spectacular views of the ocean and jungle. 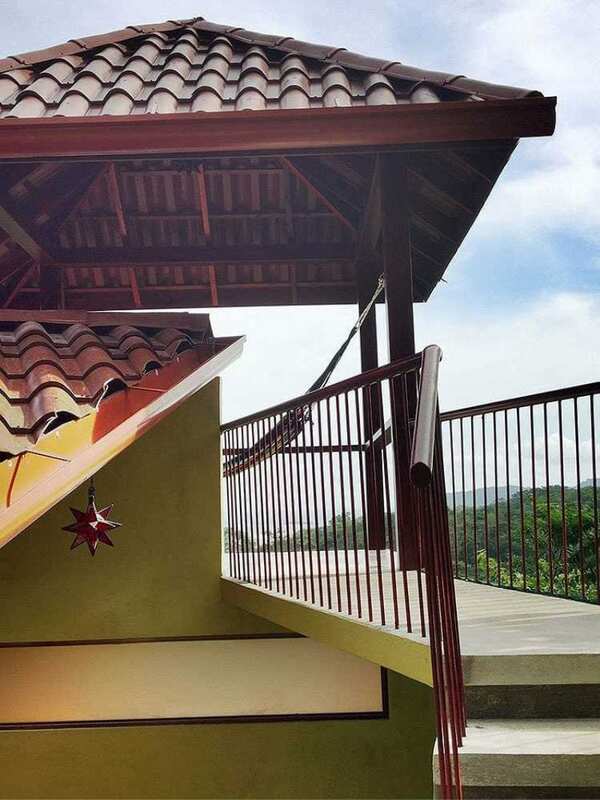 Every one of Anamaya’s cabinas is unique. 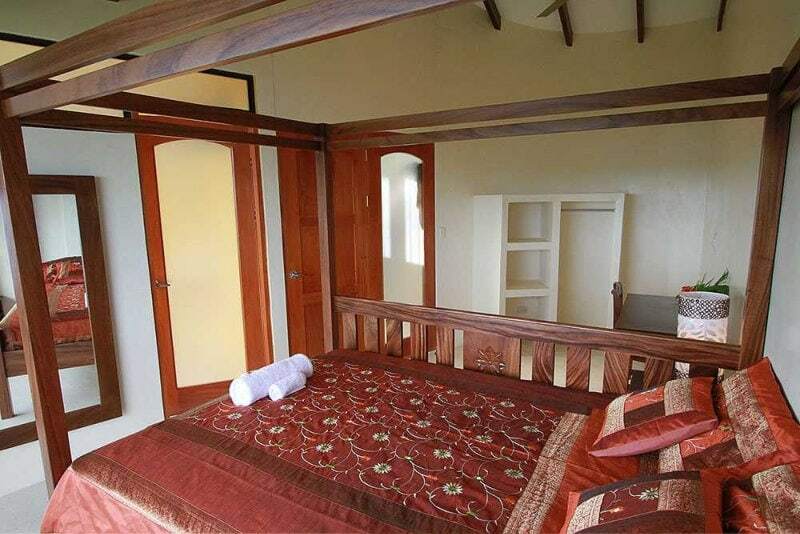 All the furniture in Ganesh was made in Costa Rica and was designed especially to fit this room. The Ganesh room has lots of light due to the large windows and beautiful view in the southern direction. 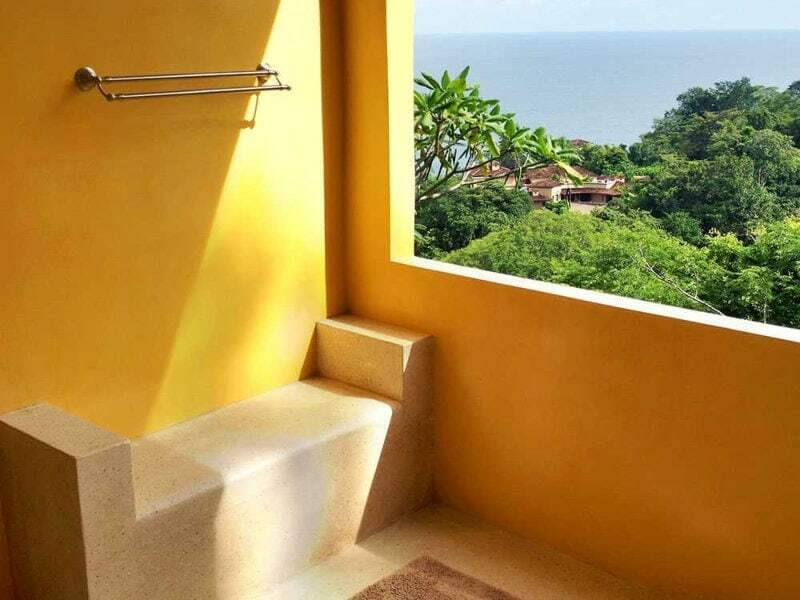 The Ganesh bathroom has a spectacular view open to the ocean and the jungle below. 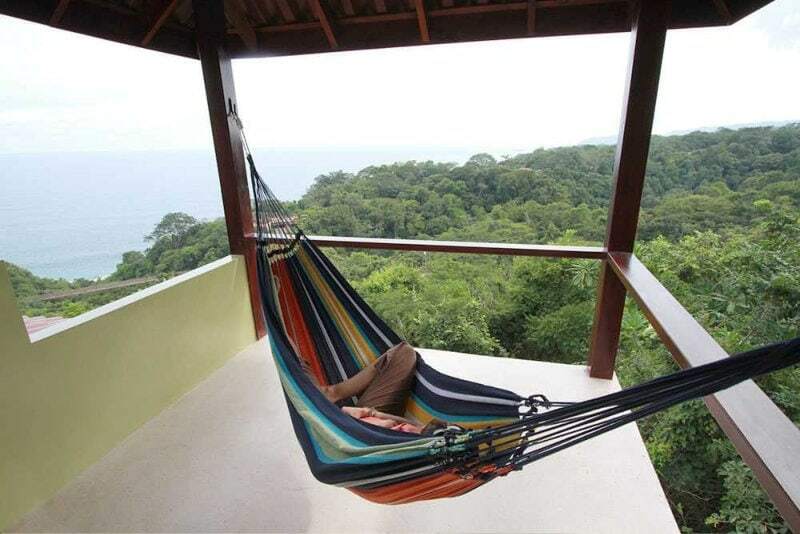 This cabina is very unique in that it has its own rooftop lookout with a hammock. 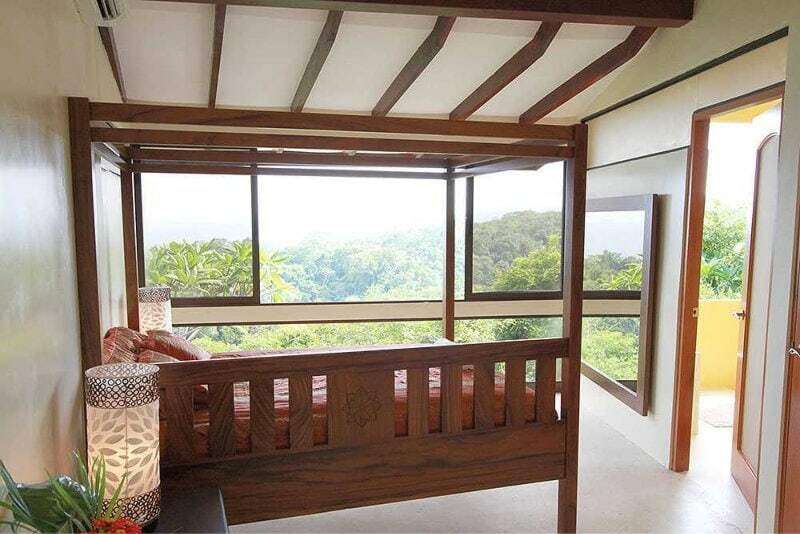 Enjoy privacy and one of the best views you’ll ever see while relaxing or reading a book.